I'm originally from Canada where I spent most of my working life teaching mathematics and chemistry, except for a 10-year stint as a professional ceramic artist. Go figure! I guess my brain can't decide which part is in control. 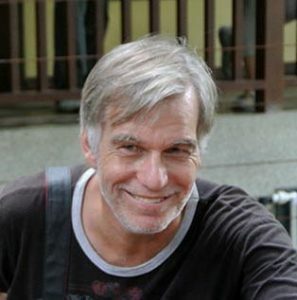 After teaching mathematics in China for six years, I retired to Thailand in 2013, where my wife, Nancy, and I lived for the next three years. Since then I have written over 200 articles on retirement and living abroad, mostly for International Living Magazine. We currently live on the north coast of Peru. When I am not traveling, working on my next book or writing another IL article, you'll find me walking on the beach. My first book was inspired by my divorce of almost twenty years ago. It was a simultaneous process of venting and reflection. Writing about it helped me get through that painful time. The words sat in the dark for many years before they were finally published. Most of my writing over the last few years has been about retirement and living abroad. Seeing other retired people doing so many exciting things with their lives around the world is very inspiring. I am definitely a seat of the pants writer. Although I will put together a loose outline, I will usually just sit down and very quickly crank out a few pages at a time. Then I go back, edit and clean up what I have written. I use this process for my articles and did the same sort of thing for my book. I have done many articles based on interviews and these are the easiest because they almost write themselves. Chatting informally seems to draw out more great responses than having a set of predetermined questions. My two pieces of software that I depend on are Scrivener and ExpressScribe. The former allows me to outline and keep track of all notes and references. The latter is great for transcribing interviews that I have recorded. I always listen to trance music when I am writing! It energizes me and puts me in the right creative space. I get too distracted when I work with somebody singing in the background. Writing is the easy part. Selling your work is the challenge unless you are fortunate enough to be offered a paying gig as I was. Don't be afraid to spend money to make money. Writing is an art but more importantly, it is a business. Many artists are great at what they do but fail at the business end. I don't have the time, money or energy to seek out a publisher with such a small chance of any payoff in the end. With my computer skills and years of Photoshop experience, self-publishing seemed to make sense. There will always be books; what form they will take is anyone's guess. Technology will continue to astound us but there will always be Luddites in the world. Self-publishing is certainly economically feasible and provides a great opportunity for any aspiring author to get their books into circulation for very little investment.